BRING HOME THE BIGGEST PARTY OF THE SUMMER! LOS ANGELES, Calif. (June 2nd, 2014) – Get ready to shake your tail feathers! Twentieth Century Fox Home Entertainment takes you deep into the Brazilian Amazon Rainforest for the most fun you’ll have all summer, as RIO 2 debuts on 3D Blu-ray, Blu-ray and DVD July 15. Just in time for summer vacation, this “hilarious family adventure” (Jeff Craig, Sixty Second Preview) will samba its way into your home with exciting bonus features and extras everyone will enjoy. Projected to eclipse more than $490 million worldwide at the box office, the animated hit is the must-own family title of the season. One lucky Tales of Mommyhood reader will win a copy of RIO 2 on Blu ray/dvd combo pack! Open until 1159 pm EST July 15, 2014. Must be 18+ to enter, eligible for Canadian and US residents - void where prohibited. Use the form below to enter - good luck! I have not seen it myself. I have one grandson who has seen both and loved them. I have only seen the first one, but would love to win this to be able to watch with my son. We have seen Rio and Rio 2 in theaters. Loved them both. I would like to win this for my whole family because we all love it. I've only seen the first one so far... For my family. No, I have not seen either movie. I would love to win this for my youngest granddaughter who has seen the 1st movie but not the 2nd. I saw Rio. It was so cute. I haven't seen part 2 yet. I'd love to win a copy for my mom. She loves animated movies with animals. We saw the first one but not the second. Looks cute. I have seen it and my girls loved it! My kiddos would be thrilled. have not seen it, my family would like it though. My boys have seen the first one and I am sure would love this one just as much! I would like to win this for my son. We really liked Rio but haven't seen the sequel yet. 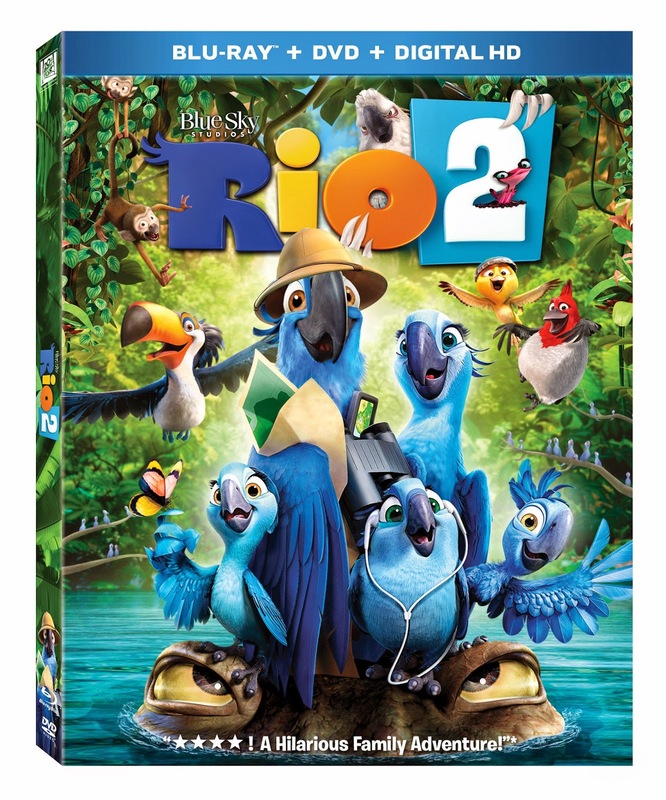 It would be great to win a copy of RIO 2 on Blu ray/dvd combo pack. Have you seen RIO or RIO 2? and who do you want to win this for? No i haven't watched these movies and i want to win this for my nieces and nephew. I haven't seen either movie. We would watch this as a family. I've seen Rio and I'd love to win this for my son! I've seen the first one and I would love to win this for my best friends little guy who loved the first movie! I have seen the first one. I would like this for my children. I haven't seen either but I think this is a kids movie that wouldn't drive me bonkers ;) My girls would love this, I am sure! I want to win this for my son and we have not seen a Rio movie yet! I have seen the first Rio and I would love to win this for my son who loved the first movie. we own the first, and we saw the 2nd at the drive in! very good movies! We've seen Rio but we haven't seen the 2nd one! I haven't seen it any yet but my daughter has seen the first and she loves it! I've seen parts of the first Rio. I want to win this for my Daughter - she loves movies! My son and I watched the first one and really enjoyed it. I haven't seen either one but would love to win this for my grandsons! I haven't seen Rio 2 yet, I want to win this for my kids. I did not see either. I want to win this for my nephew. We have seen the first Rio, and my son would LOVE to own Rio 2, so that is who I am hoping to win this for. We have the first one and have seen the second also. We LOVE Rio!! I would love to win this for my son and daughter. I have seen the first one with my boys. They absolutely loved the movie. I would be winning this movie for my boys, so they can see the second one. We have seen them, but my niece Alysia would watch this endlessly. We have seen the first one but not the second. 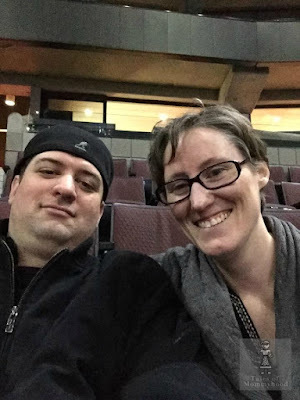 I want to win it for my kids! I have seen Rio 2, so cute! I would love to win for my nieces and nephews! I have not seen this movie but I would love to watch it with my grandbabies. Hi! I have not seen either movie. My grandson isn't old enough to go to the theater yet. Although, he loves watching movies at home. He would be so excited to get this movie! Thank-you for the chance! yes i've seen it and Id love to win it for my girls! I haven't seen either of them. I know my nephew has seen the first one and would no doubt want to see the second one! We've seen Rio 1 but not 2. I would love to win this for my kids. I have only seen the first one. My daughter would love if I won this for her. I haven't seen either one, yet. I'd love to win this for my friend's little boy. We have not seen either but I'd like to win this for my niece. We have the first one and it is one of our top 3 movies still! I can't wait to get my boys Rio 2! I haven't seen rio2 and would love this movie for my whole family,Thank you! We have seen them both but the kids would love to have their own copy!! Thanks!! I have seen Rio but not Rio 2. I would love to win this for my daughter. I've seen neither one of these movies...I would to watch them with my grandchildren. I have seen Rio 1 and I want to win for my granddaughter Gwen. I haven't seen it but would love to! My kids loved Rio. I haven't seen Rio 2 yet though!! No, I have not seen it but would love to win it for my young grandson. Would love it for my son, we've only seen the first. Have watched them both with the grandkids, who will be getting this if I win! We have seen both Rio movies. I would like to win this for my kids. We have seen the first movie, but not the second one yet. I want to win this for my grandson and I to watch it together.